There hasn’t exactly been a dearth of exciting golf in the lead up to next week’s Ryder Cup. Last week was the women’s fifth and final major of the year, the Evian Championship, and this week there’s the climax of the PGATOUR season at East Lake golf club in Atlanta. 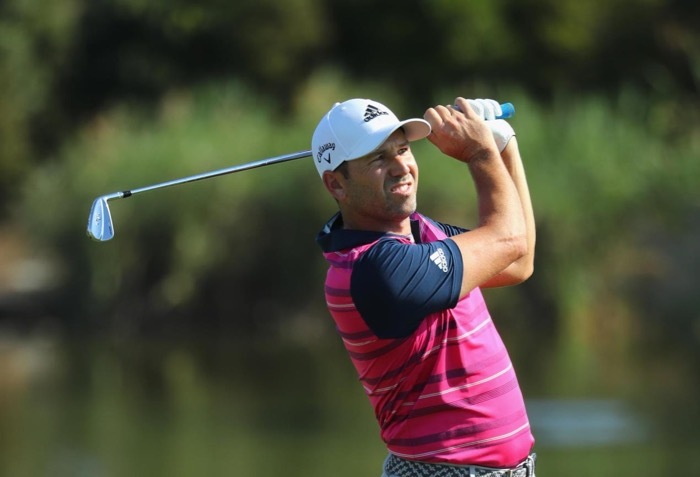 There, on Sunday, the Tour Championship winner will be crowned as well as the Fed-Ex Cup champion – a bit like crowning the winners of the Premiership title alongside the winners of the FA Cup. The celebrations can get a little muddied and muddled. To whom does the moment belong? 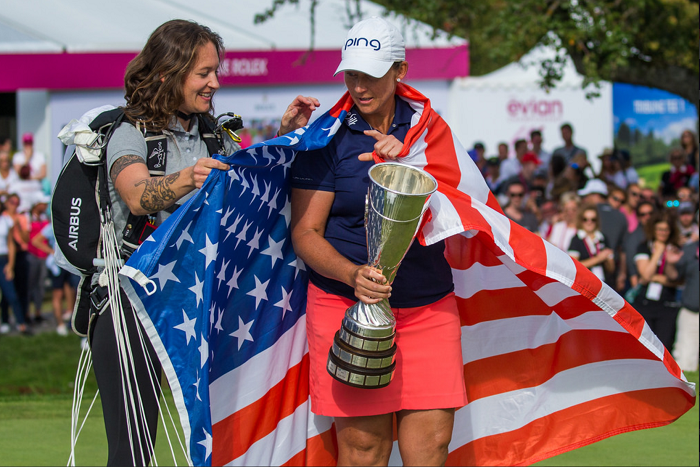 No muddy waters in sight at Evian where American Angela Stanford, in her 18th year on Tour, finally won her first major a couple of months shy of her 41st birthday. As she herself said, she wasn’t really looking like pulling it off on this occasion. She started the final round five shots behind leader Amy Olson and for much of the day she hung around a couple back. That all changed on the 15th hole, however, when a brilliant 7-wood second shot set up an eagle three and she was tied for the lead. And then she struck a chord with most of us watching. 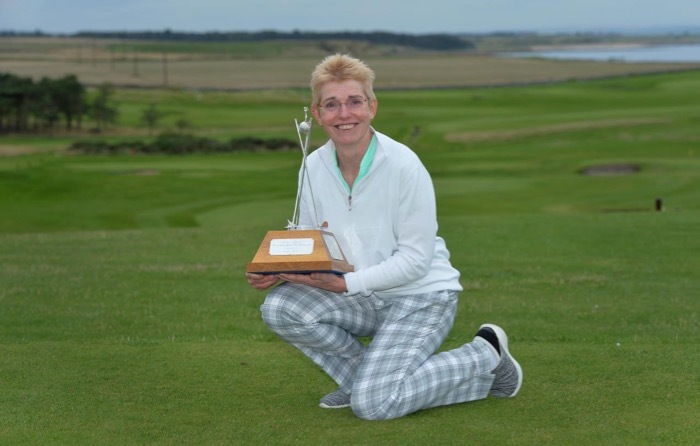 We saw her react to the realisation that this was as close to a major title as she had been in 15 years – and she instantly double-bogeyed, dropping back to the slightly more comfortable position of being two behind. But this is where we mere mortals cease to be able to identify with her. 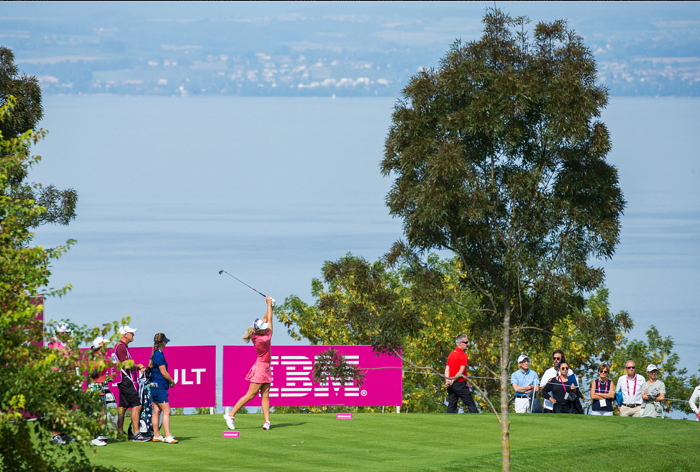 She dug oh-so-deep, birdied the 17th and hit two stunning shots into the 18th, the most difficult hole on the course. How her putt failed to drop is a mystery and she sank to her knees thinking this was a script she knew only too well. But it wasn’t. Thirty minutes later she was a major champion with Olson, still leading on the last by one, taking 6, and so missing out on a play-off. Neither Mo Martin nor Sei Young Kim could birdie the last to match Stanford’s 12 under total. 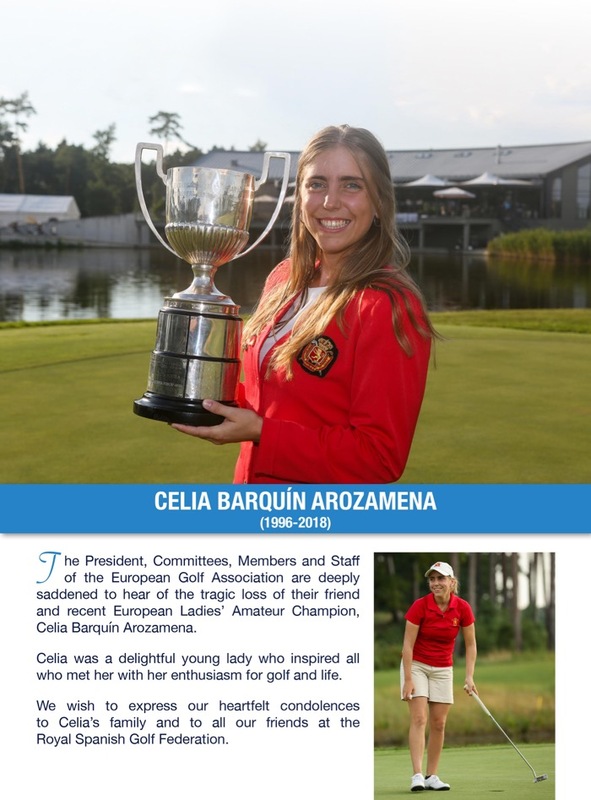 The floodgates opened for the new champion as the intensity of her focus during competition dropped away and she realised that all those years and years of endeavour had culminated in one of golf’s greatest prizes. Her backstory is revealing too. Nine years ago her mother was diagnosed with breast cancer and Angela and the family supported her through the worst, thrilled to see her return to full health. However, earlier this year the bad news came that the cancer had returned and spread to the bones. Only a couple of weeks ago her Mum was out at a tournament with Angela as she battles through the latest treatment. Things are tough. So, in light of all this, I was really, really annoyed with the great god that is television that they didn’t even afford Angela a minute or two to gather herself together before springing a live, winner’s interview on her. I know that TV had possibly overrun their coverage and needed to get off air – but, come on! This was thoughtless in the extreme and does anyone really want to see a person heaving with sobs and with an inability to form words or answer questions at that moment? Two minutes would have been all she needed to get past that first rush of overwhelming can’t speak/can’t breathe moment and, articulate a person as Angela is, she could then have given so much more. I found it insensitive, unnecessary and a very uncomfortable watch – certainly not the joyous interview that we all wanted. But what a championship and what a winner! 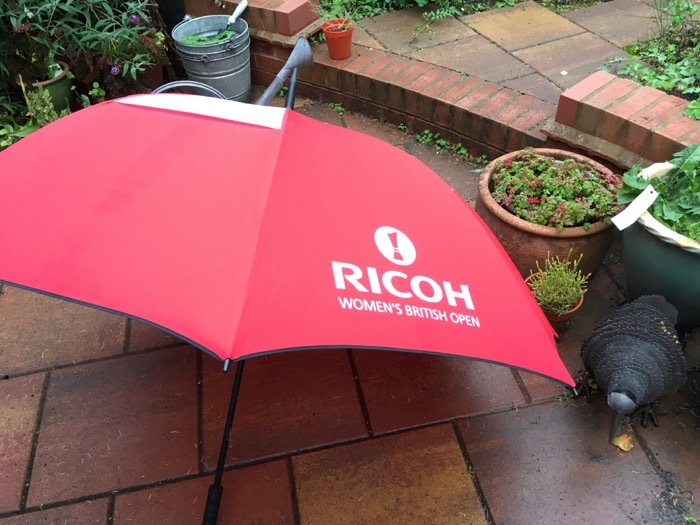 My own Ryder Cup preparations are well underway – not sure about Patricia’s. We are having a sisters’ week in Paris intending to take in a bit of shopping and a bit of sightseeing as well, of course, as three days of tramping around Le Golf National, a stone’s throw from Versailles. 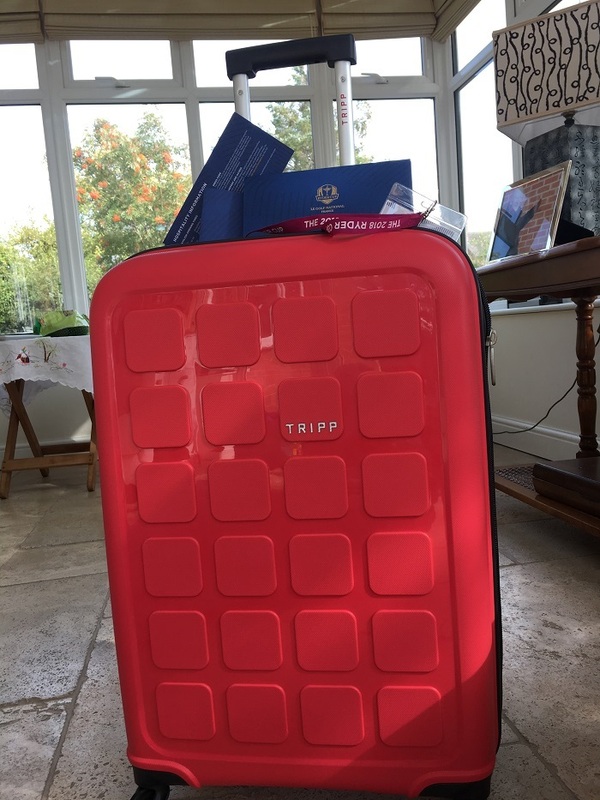 We have bought a Ryder Cup travel pass each for 40 euros that for seven days allows us to hop on any bus, tram or train in and around Paris – it even works from as far out as Charles de Gaulle airport. 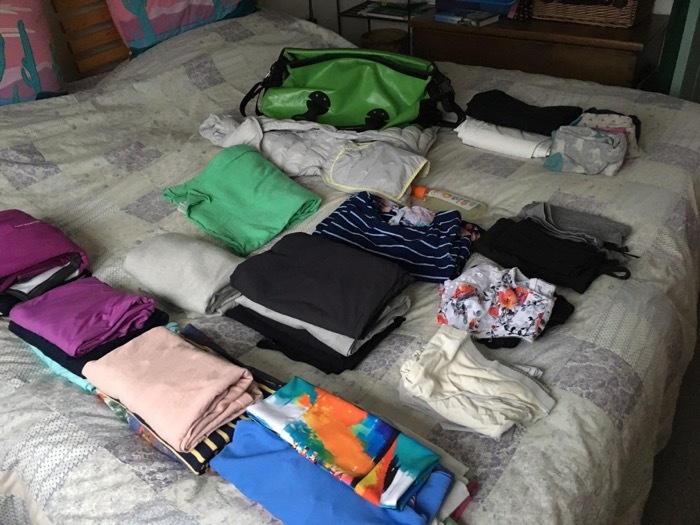 It is for this reason we are going sans voiture and therefore I needed an in-between-sized wheelie suitcase – bigger than a weekend one but smaller than my US travel luggage. I found an ideal one in a multitude of colour options, finally plumping for the raspberry one, my thinking being I’d be less likely to leave it behind anywhere if it were brightly coloured. 1 Cheer Europe to victory. 2 Bring my shiny new raspberry case home with me. Can’t be hard, can it? Answers on a postcard………..